Continuing on in the early history of Spanish exploration in California . . . The reason the Spanish suddenly showed a renewed interest around 1769 in establishing their presence in California is because the Russians were working their way down the California coast. (They got as far south as Fort Ross in Sonoma county.) 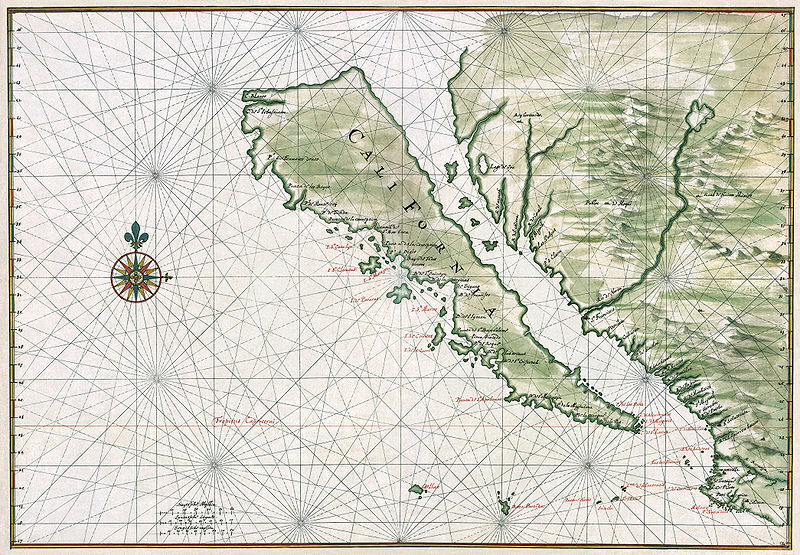 So King Carlos III (and his advisors) dusted off the old coast pilots, recalled that there were two good ports in California (San Diego and Monterey), and set out to build a presidio and mission in each. lst. The object is to establish the Catholic faith, to extend Spanish domain, to check the ambitious schemes of a foreign nation, and to carry out a plan formed by Felipe III. as early as 1606. Therefore no pains can bo spared without offense to God, the king, and the country. 2d. The vessel (San Carlos) being new, strong, and well supplied for over a year, to be followed by the San Antonio with additional supplies, having only 300 leagues to make, having a strong military force, and going to a land whoso natives are docile, have no arms but bows and arrows, and are without boats, there can be no excuse en lo humano for failure. But hey, Vicente. No pressure.